Our intuitive solutions make commercial card payments simple and painless, encouraging more spending more often. Provide essential tools your customers won’t want to lose. Give them Fraedom and they'll give you their loyalty. Fraedom means not having to invest in developing your own technology. Automation improves customer experience and increases opportunities to self-serve. Track and deliver high value commercial card solutions. Our technology is packed with features to support your growth strategy. Add value to your core services, and stand out from the crowd by offering our world-class technology in your own brand. Fraedom's fully hosted web-based platform works with all major schemes, networks and processors. It’s also modular, so features can be added at the client's pace. Give customers complete visibility of all their card purchases, allowing them to balance the ease of use only cards can bring with the safety of robust control mechanisms. 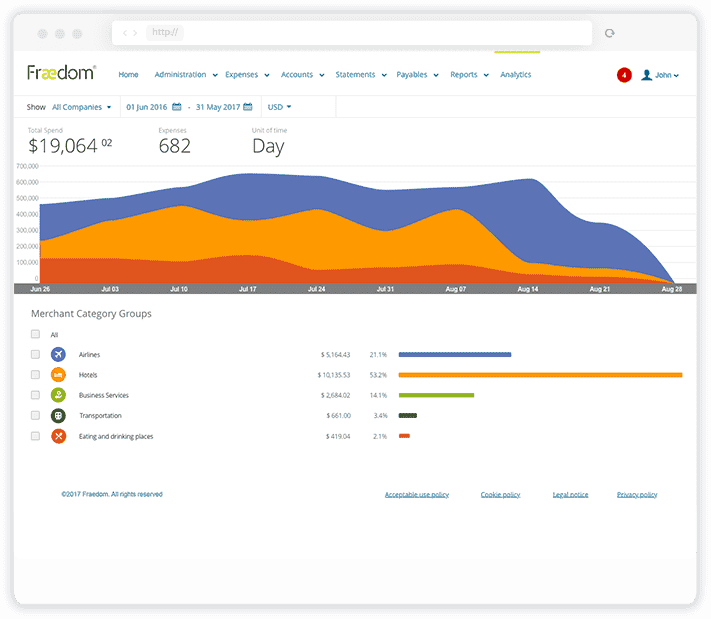 From top line summaries right down to detailed transaction level data, reporting is fully configurable, so setting up the right access and permissions for different teams or employees is a breeze. 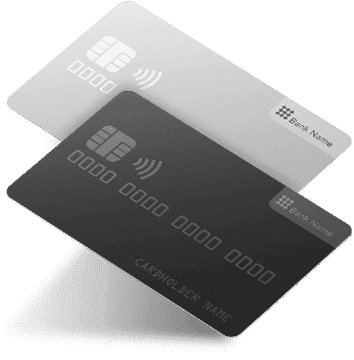 From corporate and business credit cards to P-cards and lodge, physical or virtual, regardless of card type or scheme – businesses can manage and administer card programs all in one place, quickly and easily. A powerful, easy to use expense management tool that saves time and money. Fraedom works alongside existing invoice approval processes to enable faster, more efficient business payments. By leveraging short-term credit more effectively, businesses keep hold of their money longer while creditors get paid more quickly. Fraedom’s virtual card technology works like magic, allowing creation of unlimited digital cards that only exist for single transactions. Flexibility that makes payments more secure, controlled and easy to reconcile.